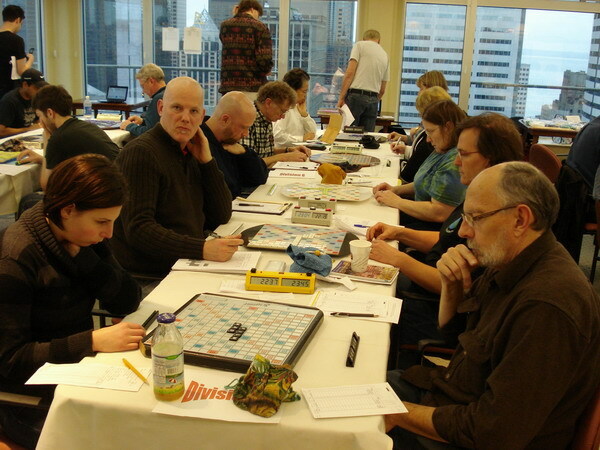 38 players came to the one-day Tournament Saturday January 29th. Jane Bissonnette organized everything and directed, while Emily Bissonnette did all the data entry, using Marc Levesque's Director! program to do the pairings and results. Thanks also to Eileen Gruhn for helping to secure the venue. Several others (including George Bissonnette) helped with setup and cleanup. Thanks! This tournament was also our third annual fund-raiser for the Page Ahead Children's Literacy Program ($10.00 of each entry fee goes to them). The total raised was $380. *Only one prize per player, so if someone placed 1st, 2nd or 3rd, but also had High Win or High Loss, the prize went to the next highest scoring player. Also, the prizes in Division D are slightly smaller than the others because Division D had only 6 players, while all other divisions had 8.